There are so many actions that we take for granted every day. Think about an average day in your life. At 6am, your alarm goes off for you to start the day. You wake up, and after hitting snooze a couple of times, you lumber out of bed. You stretch and get dressed in something suitable for work, then jog down the stairs to prep breakfast. While an egg is cooking, you realize you forgot your phone upstairs, so you sprint up to grab it then head back down before your breakfast burns. You gulp down your food and head down your front steps, ready for a day at the office. Sounds pretty normal, right? Many of us would never question going through such a routine. However, a disability can change everything. Both physical and mental disabilities as a result from a serious injury could make certain steps of your daily life more difficult, or outright impossible. The Accessibility Initiative of Ontario was designed to help combat these problems. By 2025, the goal is to have every building in Ontario become accessible for people with disabilities. However, that’s a far off goal for someone who comes home and finds that they’re unable to go about their daily business. An injury law firm can help someone accrue the funds and information needed to convert problematic elements of their home. Some of the changes necessary can be expensive or difficult to complete on one’s own. A disability lawyer will be able to help a family figure out which changes need to be made. If you need to open your home so that everyone feels welcome, including a disabled loved one, read on for a discussion of how to get started. Let’s look at the sample day above. Every single step could be potentially limited by a disability. People with disabilities often have their energy levels cut down significantly. Even people who have relatively minor disabilities can often struggle with making it into work every single day. The “spoon theory” comes from a person with lupus’s attempts to describe living with a disability to her able-bodied friend. According to the spoon theory, people with disabilities have a finite amount of energy that varies per day and must be managed carefully. This can manifest in many ways. Tasks like cooking your own breakfast and even getting dressed can drain valuable energy that must be harboured for your everyday necessities. 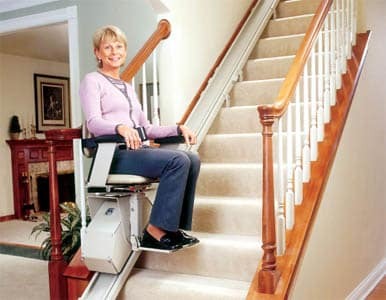 An injury law firm has seen the difficulty that an injured person has heading up stairs or navigating narrow corridors. There are less obvious issues as well that accompany neurological impairments. For instance, leaving the stove on and unattended is dangerous when someone has lapses in memory and could forget that the burners are heating up. Some people are hesitant to go the full nine yards and adjust their home to accommodate members with disabilities. Often, this is due to good intentions: They don’t want to disrupt the home atmosphere, make the family member with a disability feel like a burden, or they may be attempting to make everything feel “normal” again. It is important to remember how even small changes to the household can add up to a serious quality in life improvement for people with disabilities. Not having to spend precious spoons on climbing up flights of stairs or moving through the home means that a disabled person has more of a chance to do the things they enjoy. What Priorities Come First When Disability Proofing Your Home? The idea of making major adjustments to your home is an intimidating one. Many people picture huge bills and serious renovations. You may be surprised at how straightforward this process can be. An injury law firm can suggest many solutions for common challenges. Here are some of the top priorities that you should be looking for. Health and Safety: Consider the major risks that someone with a disability has to deal with. For instance, if someone has seizures, having a narrow bed that is high off the ground is a serious health risk. If someone is at risk of passing out, standing in the shower could be quite dangerous. An injury law firm can suggest ways to accommodate those daily challenges, such as a shower chair or alternate forms of bedding. Considering how your home can handle the “worst case scenario” is absolutely necessary when someone comes home with a major injury or disability. Daily Activities: Can someone cook, wash, work, work out, or have company over? Is there space where someone can stretch out and read a book or do their physiotherapy exercises? Does going to bed require climbing stairs? Does washing dishes force someone to stand at the sink? Making sure that someone can go about the activities that make up their daily life is crucial for disability proofing. Adjusting Layout and Decor: Do any pieces of furniture need to be removed, adjusted, or replaced? Are any decorations at risk of being knocked over, or shattered? Can someone go about their daily business without running into obstructions? We all want beautiful homes, but you have to consider whether that delicate vase in the main hallway is worth the potential risk. After someone has been through an accident that leaves them injured or disabled, they often have to deal with many financial costs. The idea of disability proofing your home may make you fear for your bank balance. When it comes to dealing with costs that are a direct result of the accident, it’s time to call an injury law firm. These experts can help pursue justice – and more importantly, the compensation that your family needs to heal and recover. When a loved one comes home with a disability, they need the right environment to focus on the trials ahead. Dealing with a disability law firm is a good solution to dealing with the big changes and challenges ahead. One such firm is Wynperle Law, located in the Golden Horseshoe area. Our offices are at 25 Main Street West, Suite 400, L8P 1H1 in Hamilton, Ontario. We can be reached via phone at (905) 481-3921. By dealing with experts, you’ll take the financial stress off your shoulders and allow yourself to focus on dealing with the challenges of disability proofing your home. There is no one right way to disability proof your home. You must carefully look at what your loved one needs and the challenges they could face. However, consider the health and safety of the individual and any obstructions or dangers your home could pose. Make changes that allow your family member to go about their daily activities without exerting excessive energy. Finally, ensure that your layout, furnishings, and decor are all safe and properly arranged. By removing dangers and adjusting things, you’ll allow your loved one to feel truly at home. For more information, or a free consultation, call us today at 1-866-696-0300.